NOW located in a central spot, the team at bcu have been relocated and are now settling into their new corporate and retail premises. 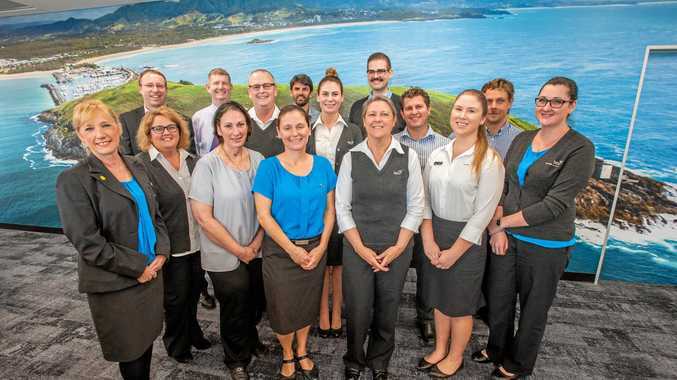 Located in the Coffs CBD, the move was completed last week with office teams officially moving into the newly built commercial space in Coffs Central. Bcu CEO Alan Butler said "the relocation of our office teams into Coffs Central is a big milestone for bcu. Local community banking is a key focus for us and this move gives bcu the space and flexibility to continue to grow with the community into the future." Prior to the move, the bcu corporate teams were operating from temporary offices on Park Beach Road and in the Park Avenue building. The purpose built premises feature an open plan design, with a modern and spacious layout. The new office space will allow for team members from the administrative and operations teams to work from a single central location, with bcu employees from IT, project management, property, sales and service support, call centre, lending administration, member support and governance and risk all now based at Coffs Central.